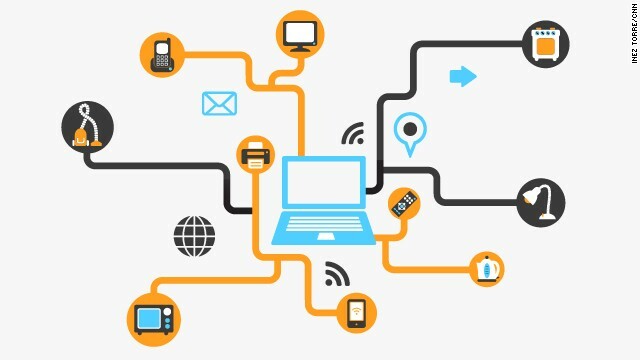 The Internet of Things (IoT) , the concept of virtually every gadget and appliance we own being interconnected via the Internet, continues to make great strides, and in the words of Gartner is “promising to transform the data center market.” If and when that transformation does take place, data centers will be faced with an overwhelming amount of data that will need to be synthesized, analyzed, and stored. That “big data” will push the need for additional storage, network, and computing resources to unprecedented heights. 1. How much space, power, and networking capacity do you have remaining? 2. When is that capacity expected to run out? 3. Is that capacity fully utilized, or is there a way to better utilize existing capacity? Many organizations currently rely on Excel spreadsheets and manual analysis to answer those questions. But when the IoT rolls around, data centers will need intelligent and automated capacity planning tools that can help them to keep pace with the ballooning size of their infrastructure by, for instance – managing the complex dynamic equipment adds and changes that are bound to take place; that on top of ensuring sufficient power, cooling, space, and network resources are available. DCIM tools provide all-in-one planning, management, and reporting capabilities on IT capacity across facilities, servers, and applications. DCIM software can provide real-time capacity monitoring, trending, forecasting, and “what-if” scenarios that show impact on cooling, power and space. DCIM removes silos that have in the past stranded capacity, and proactively provides the information needed to align IT and facilities management business objectives. Although no one is really sure just what to expect when the IoT rolls around, the need to manage data center capacity in an intelligent way will be ongoing process. But it’s certainly not one you need to suffer and go through alone. To learn more about capacity management and how Sunbird’s DCIM can help align Facilities and IT management needs, download our eBook “Will the real DCIM Owner Please Stand Up”.